It’s not cloudy BUT there’s Meatballs! So…I recently watched Cloudy with a Chance of Meatballs and for some strange reason I have been thinking about meatballs for some time now. SMH…I know! 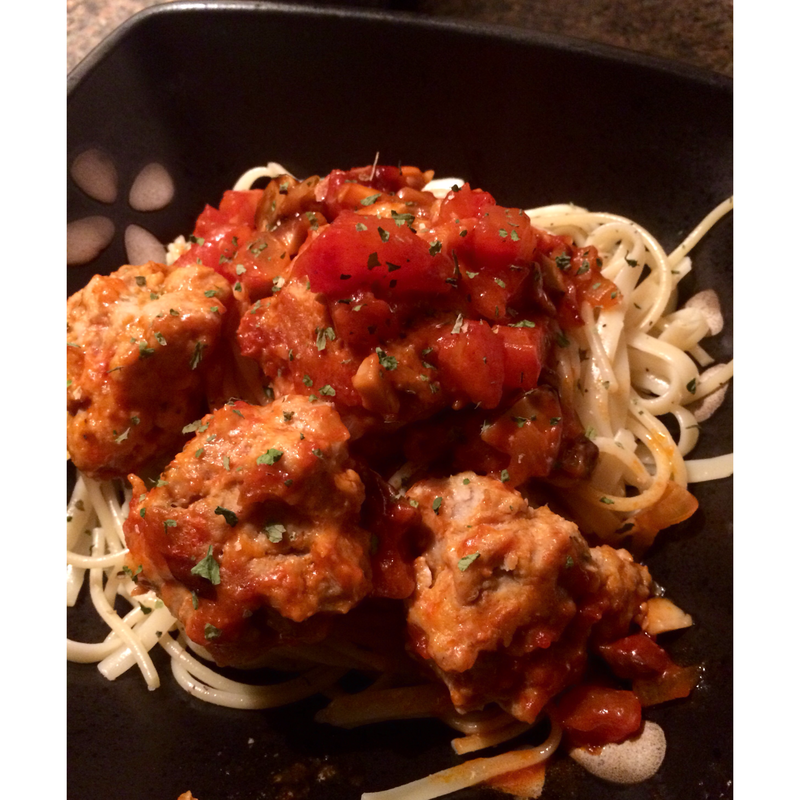 I haven’t made meatballs but oh one time or so and I wanted to ensure they were awesome! I’m not big on following recipes (I like to get creative) so I wasn’t sure just how these would turn out. I opted for ground chicken instead of beef and I’m sure this can play a role in just how they may taste. Surprisingly, when I started combining many of my favorite spices, Cumin, garlic of course, magic begin to happen! I shocked myself this time around; the meatballs actually stuck together! Paired with some Linguini, it was a win win! Gah this looks amazing! Love what I’ve seen of your blog, looking forward to following.